ACT NOW FOR SPRING 2019. 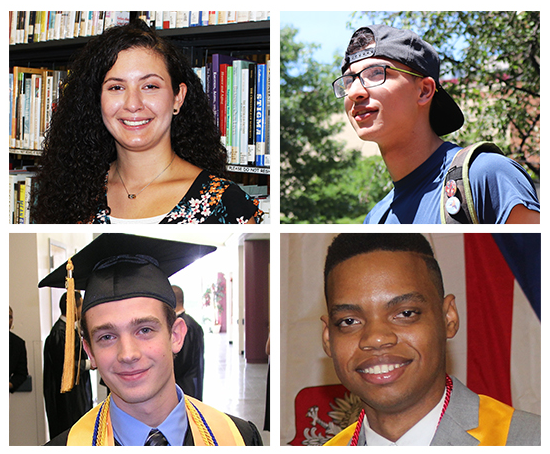 You may be eligible to attend PCCC tuition-free in Spring 2019. 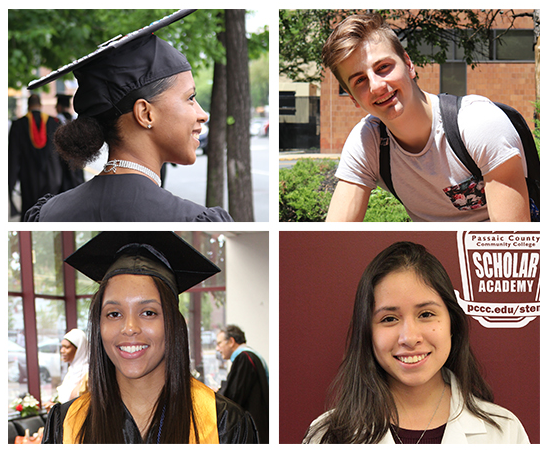 The Community College Opportunity Grant is a new financial assistance award that enables qualifying Passaic County residents to attend PCCC tuition-free next spring. The grant will cover any tuition and certain fee costs for the Spring 2019 semester that are not already covered by the student’s other financial aid. * Current PCCC students who have already completed a financial aid application for the Fall 2018 semester will be automatically considered for grant eligibility if they enroll for at least six credits in the Spring 2019 semester. * Current PCCC students who have not yet filed for financial aid for academic year 2018-2019 should do so as soon as possible to be eligible for a grant award in Spring 2019. We’re here to help you! Please contact us for this step and we will assist you with this process. 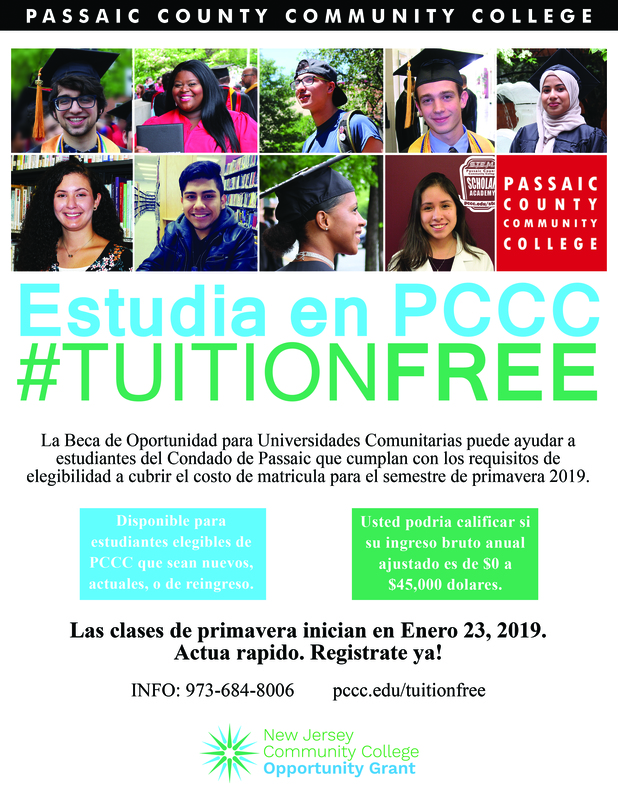 PCCC Tuition-Free Hotline (973-684-8006 or tuitionfree@pccc.edu). We will work with you to complete and submit the FAFSA (Free Application for Federal Student Assistance) and the supplemental New Jersey State questions (www.fafsa.ed.gov). NJ Dreamers are welcome too! If you are not a United States citizen or eligible noncitizen, and meet other criteria, we will help you to complete and submit the Alternative Application at: https://www.hesaa.org/Pages/NJAlternativeApplication.aspx . How Do I Apply for the Community College Opportunity Grant at PCCC? Once you contact the PCCC Tuition-Free Hotline (973-684-8006 or tuitionfree@pccc.edu), we will work with you to complete an Application for Admission at www.pccc.edu/applytoday . ▸ I am a Current student and completed the FAFSA already. Register for at least six credits for the Spring 2019 semester. You will automatically be considered. for a Community College Opportunity Grant award.Registration is in progress now, and you should act quickly. ▸ I am a Current Student and did NOT complete the FAFSA. We’re here to help you! Please contact us, and we will assist you with this process. We will work with you to complete and submit the FAFSA and the supplemental New Jersey State questions (www.fafsa.ed.gov). If you are a NJ Dreamer or are not a United States citizen or eligible noncitizen, and meet other criteria, we will work with you to complete the Alternative Application at https://www.hesaa.org/Pages/NJAlternativeApplication.aspx. Also, make sure you register for at least six credits for the Spring 2019 semester. Registration is going on now. Don’t wait. Current students will automatically be considered. ▸ I applied to PCCC in the past, but did not attend. We’re excited that you will now attend PCCC! One of the first steps we will take with you, is to complete the re-admit form. 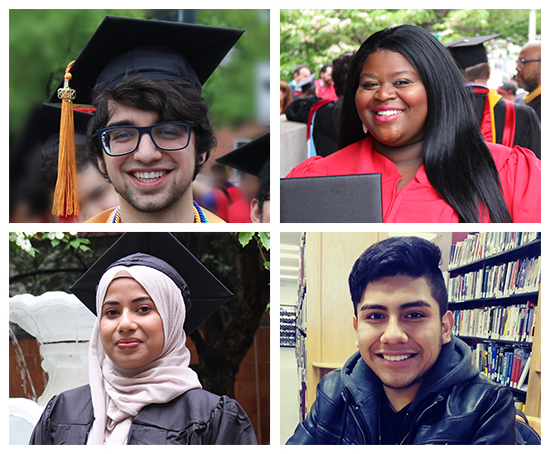 Contact PCCC Tuition-Free Hotline (973-684-8006 or tuitionfree@pccc.edu). ▸ I applied to PCCC, and attended in the past. I did not take classes in Fall 2018. We’re excited that you will be coming back! Regardless of your reason for not returning in Fall 2018, consider this your second chance and a fresh start at PCCC. Let us discuss the next steps with you. 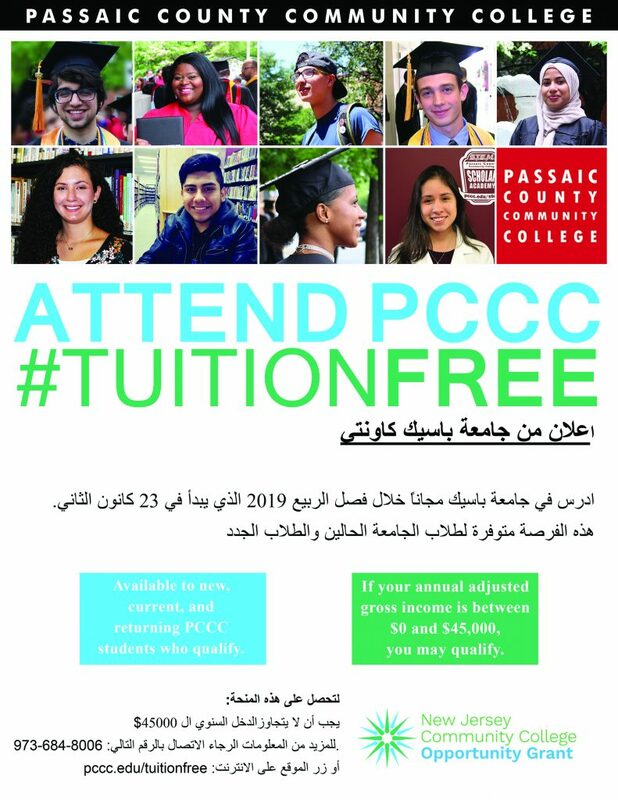 Please contact the PCCC Tuition-Free Hotline (973-684-8006 or tuitionfree@pccc.edu). One of the first steps we will take with you, is to complete the re-admit form. You are welcome here. We will help you to complete the Alternative Application at https://www.hesaa.org/Pages/NJAlternativeApplication.aspx . Please contact us at PCCC Tuition-Free Hotline (973-684-8006 or tuitionfree@pccc.edu ). ▸ What is Adjusted Gross Income (AGI)? In simple terms, your AGI is your income minus certain deductions. For a dependent student, AGI refers to the parental AGI reported on the financial aid application. For an independent student, AGI refers to the AGI reported on the financial aid application for the student, and if applicable, the student’s spouse. Not sure if you qualify? We will help you. 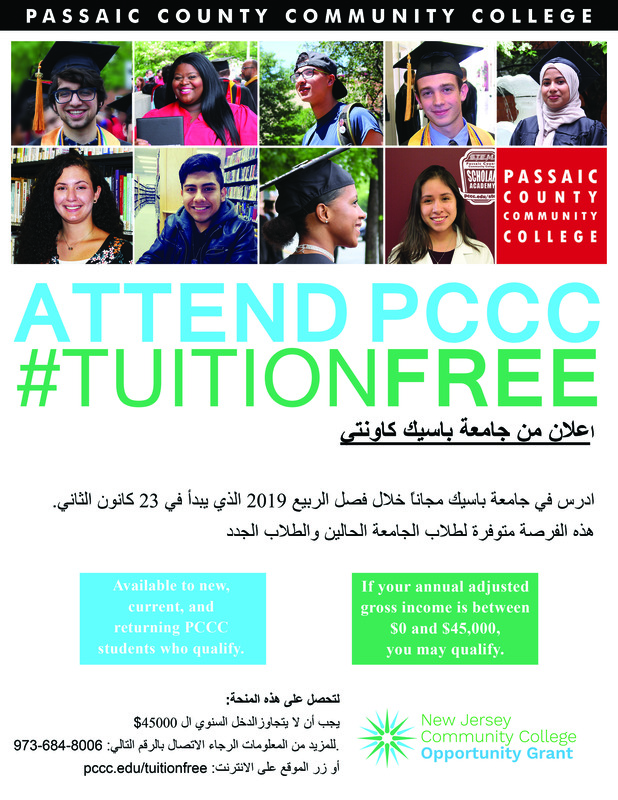 Please contact the PCCC Tuition-Free Hotline (973-684-8006 or tuitionfree@pccc.edu). ▸ What Fees are Paid /Not Paid by the Community College Opportunity Grant? Are remedial courses covered under the grant? Yes, remedial courses can be covered, so long as the student meets PCCC's definition of part-time or full-time enrollment. Are dual enrollment students eligible? No, dual enrollment students are not eligible. How will I know if I received a Community College Opportunity Grant Award? Notification that you received a Community College Opportunity Grant award will be included in your Financial Aid confirmation letter. Does registration for 3 credits in Winter Session (starts Jan 2) and 3 credits in Spring 2019 qualify for eligibility? Does a combination of 6 credits, or more, in both the Spring 15-week and Spring 12-week terms qualify for eligibility? Do you have questions and need more information? Community College Opportunity Grant at PCCC.